X-mas Expos Break Mold with New Trends X-mas Expos Break Mold with New Trends – (Addis) Fortune – The Largest English Weekly in Ethiopia! 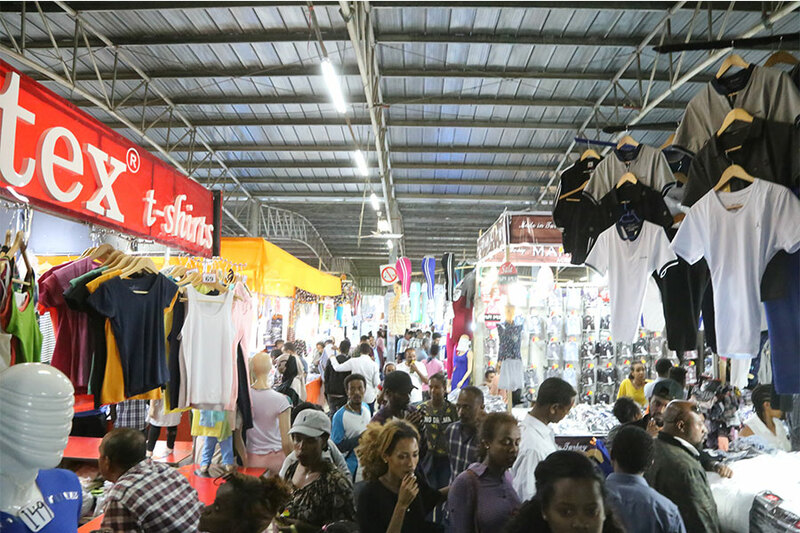 Price escalations of holiday shopping events at Millenium Hall and the Addis Abeba Exhibition Center affect organizers, exhibitors and visitors. Some vendors are threatening to pull out as they face disappointing sales figures. Some visitors enjoy the variety of product choices they find if not the discounts they expected. Exhibition organizers have added extra features including swimming pools, playgrounds and popular amusement park themes, writes BERHANE HAILEMARIAM, FORTUNE STAFF WRITER. Visitors attend the exhibition on the sunny Friday afternoon of January 4, 2019 in hall number one of the exhibition centre. The booths are so close to each other that the visitors knock into one another as they pass. The Exhibition Centre at Mesqel Square was the focus of attention for newly engaged couple Ayenew Elfineh and Bethlehem Zergaw last week. He is a civil servant and his bride to be works at an NGO. The wedding is in April, but they are already acquiring household items that they need to set up their home. They were looking for a sofa slipcover and eyed an imported item displayed in Israel Taye's booth, one of 700 exhibitors among a mix of local and international vendors. 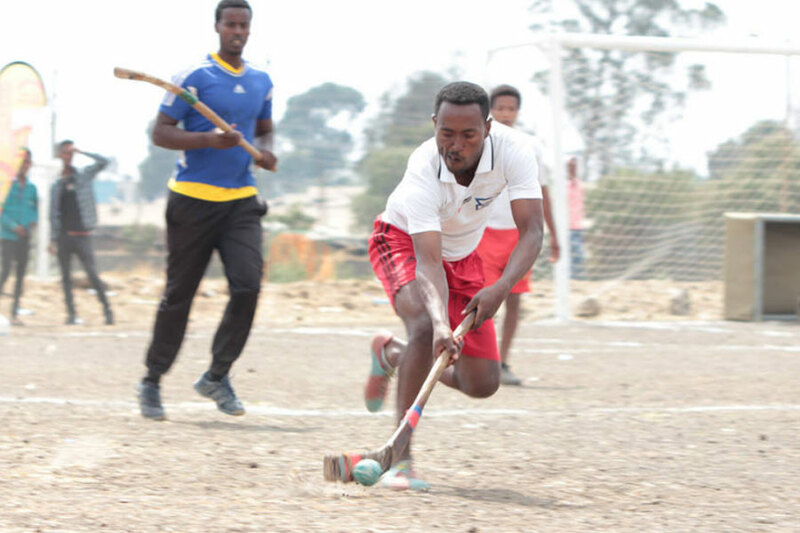 The exhibition, organised by Habesha Weekly Promotions Plc, opened on December 15, 2018, and will run through the Ethiopian Christmas holiday, Gena. The couples are not regular visitor of exhibitions, but they are here because it offers them a variety of products to choose from, even if there are no discounts. "This is better than my expectation. Though there is no price discount, we get a variety of products, enabling us to have more options," he said. Israel displayed different couch covers, some manufactured locally and others imported, with a price range between 3,000 to 4,000 Br. They negotiated and reached a deal to buy the sofa slipcover for 3,500 Br. Israel also sells curtains and kitchen wares inside a 27Sqm cubicle he rented for 21 days for 282,000 Br. Last year he paid 216,000 Br for the same booth. "This might be my final year to take part in exhibitions," Isreal told Fortunewith frustration. On the late afternoon of Fortune’svisit to the Exhibition Centre, Israel's booth was crowded with visitors who paid a 30 Br entrance fee to visit the expo. "From a total of 150 visitors a day, only 10 of them buy my products," said Isreal. Visitors at the very spacious Millennium Hall conduct transactions at the booths where different household items are sold. The hall has coffee and refreshment corners where visitors sit for a chat after buying what their pockets allow. This year's Christmas holiday features two big events held at the Exhibition Centre and at Millennium Hall, the latter organised by Jorka Events. Habesha, established almost a decade ago, won the bid to rent the venue at the Exhibition Centre for 26 million Br. For the upcoming Easter expo, the company also won, the bid, paying the highest bid of 21 million Br. Both events were attended by exhibitors including manufacturers, retailers, local auto assemblers and distributors. The expos also featured daily music concerts with prominent musicians. For the two exhibitions, Habesha allocated a total of 65 million Br, according to Natnael Eticha, marketing manager of Habesha, and expect half a million visitors for the Christmas Expo. The both rental fee for a four square metre tent ranges between 20,000 Br to 40,000 Br, based on the booth's proximity to the main gate of the pavilion. Nine square metre and 15Sqm slots are rented for 80,000Br and 110,000Br, respectively. Jorka Event, which is well known for organising concerts and music festivals, hosted the Christmas holiday for the second time at the Millennium Hall. During this expo, which is attended by 200 exhibitors, the organiser expects 800,000 visitors. Built a decade ago by the Ethio-Saudi tycoon, Sheikh Mohammed Hussein Ali Al-Amoudi, the Millennium Hall rests on 87,000Sqm and the exhibition area takes up 19,000Sqm. Jorka will organise the next Easter and New Years holiday expos at the Millennium Hall for an estimated 25 million Br. Jorka, which has spent an additional three million Birr for advertising, promotional materials, musicians and logistics, also charges a 30 Br entrance fee. Similarly, rental fees for the booths vary based on location. Jorka charges 60,000 Br for u-shaped booths in the middle of the hall, and 67,500 Br for l-shaped cubicles at corners and nearer to the gate of the hall. Daniel Tadesse, a salesperson of Kitchenware supplier MultiMug, is one of the 200 exhibitors at Millennium Hall. Daniel offers kitchenware items including slicers, grinders and juicers that are sold for an average price of 2,500 Br. Two siblings, Henok Seyoum and Morri Seyoum, were among the visitors at Daniel's booth. Henok, who owns a boutique around Jemmo, brought his sister, who came from Geneva, Switzerland for Gena, to visit the expo. Morri was excited about the exhibition. “It resembles other exhibitions I have attended abroad,” she told Fortune. Locally-made products are also displayed at the Millennium Hall. Haile G. Egziabher, who is in his late 30s, owns a company that assembles television sets with the brand name Classic. His 12-day rental fee for the 18Sqm booth is 70,000 Br. Haile, who is taking part in the Christmas expo for the second time, sells his 24-inch television sets for 5,800 Br and the 55-inch sets for 26,000 Br. As the competition is getting tough, the organisers of the two expos came with new features to attract more visitors. Both Habesha and Jorka prepared children's playgrounds and game zones. “The entertainment zones were designed for families with children. Families can visit the expo and leave their children at the playground," Biruk Zenebe, event manager of Jorka, said. Jorka prepared a playground at the back of the hall along with a plastic air-filled swimming pool. For the swimming pool, it charges 100 Br and a minimum of 50 Br for every game. Habesha also built a playground on a 300Sqm space with a replica of Jurassic Park featuring a huge dinosaur. Holiday exhibitors from Turkey, Pakistan and India took part by bringing cloth, kitchenware, home appliances and home decorations. Dashen Bank helps visitors who run out of cash in the midst of a transaction. The Bank was providing services from 8:00am in the morning to 8:00pm in the evening. Cash transactions from the Bank's ATM totaled 300,000 Br on weekdays and double that amount on weekends, according to Mulugeta Gashaw, a marketing expert at the bank. Aside from being a yearly shopping spot, the exhibitions should grow to be well-known tourist attractions, according to an expert. "If efforts are exerted, these holiday exhibitions could attract visitors from neighbouring countries," said Habtamu Berhanu (PhD), a lecturer at Addis Abeba University’s College of Business & Economics for more than a decade and a half. 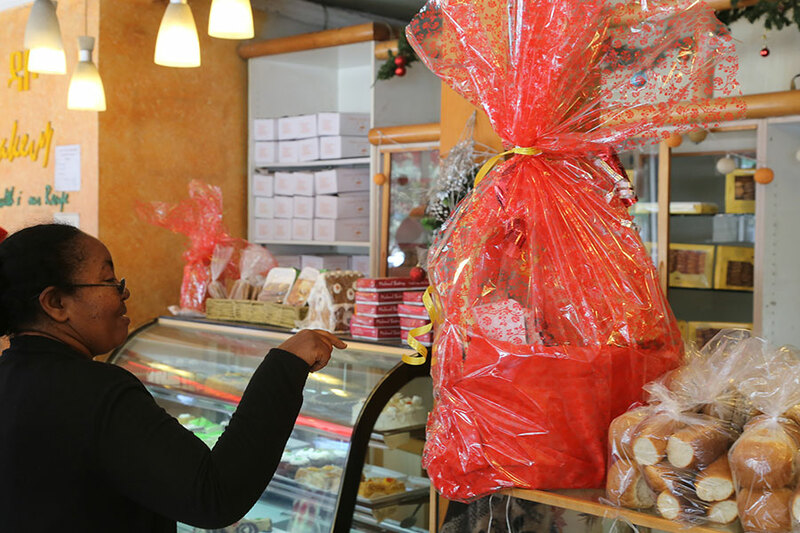 Habtamu also notices the rental fee escalation has negatively affected the prices of the exhibited products. "The government can control this with a substantial reduction in taxes, customs fees and easing foreign currency restrictions. 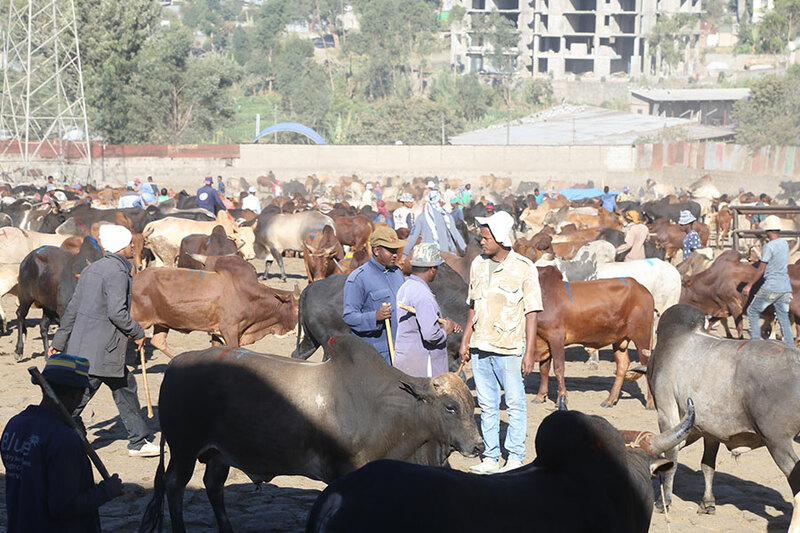 In doing so, the price of the products could be reduced," Habtamu observed.